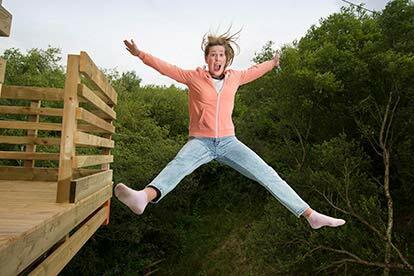 For adrenaline junkies, any special occasion is a great excuse for them to try something new and test their nerves with an experience which would have any normal person quaking in their boots. 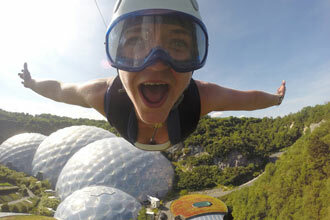 This radical adventure day package makes the perfect present for anyone who would appreciate the chance to have a go at five different, but equally exciting, activities which are designed to get participants’ hearts racing. 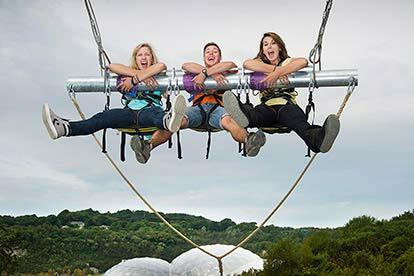 This amazing package includes a chance to have a go on the longest and fastest zip wire, a giant swing that puts playground efforts to shame, an opportunity to experience the life of a stunt performer by falling into a giant air bag, the gravity-defying experience of the 360 degree swing and the 40 foot drop that will really test the mettle of even the most daring adventurer. This experience begins with a warm welcome and, on entering the facility, guests will be able to see other people participating in the various activities which will give them a taste of what’s to come when it is their turn to take on the various challenges on offer. 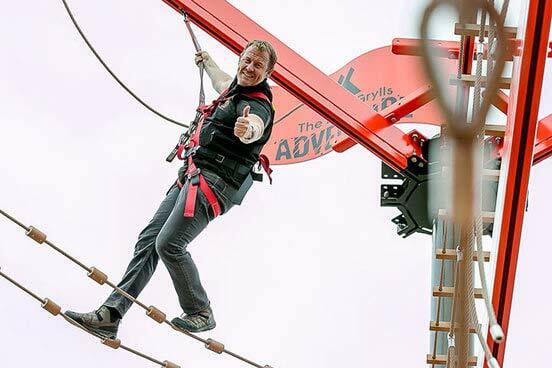 Safety is key with an experience such as this, so all participants should wear clothes that cover their shoulders and wear long trousers or skirts and flat, closed toe-shoes as they will be fitted for a harness before undertaking any of the activities. 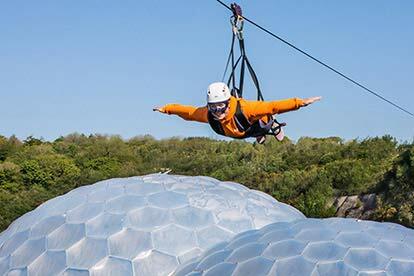 This adventure takes place outdoors so it offers amazing views over the Eden project and the surrounding countryside. 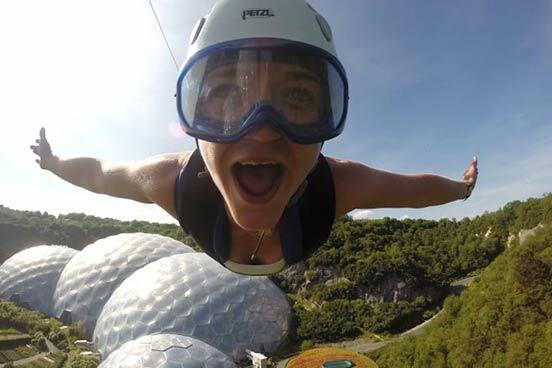 For those who are actually able to keep their eyes open as they hurtle through the air, this means they will have the chance to enjoy a completely new perspective on this beautiful part of the world. Even those who are not certain that they will be able to take in the view while they are swinging, flinging and jumping, there is no need to miss out on the amazing memories. Guests are encouraged to bring their phones as this experience includes phone case hire, and some of the helmets available are suitable for mounting Go Pros. This experience is available Monday to Friday, from April to October. Weekend dates are available from November to March. 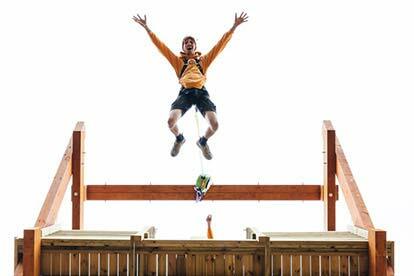 There is a minimum weight of 40kg (6st 2lb) and minimum height of 1m 20cm (3ft 11.5”). There is a maximum weight of 120kg (18st 10lb). 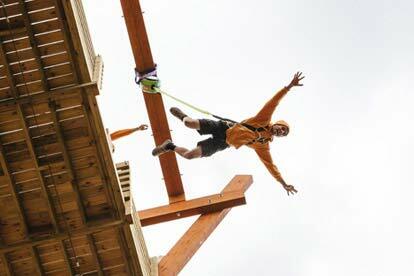 Please note you will be required to climb three flights of stairs to reach the zip wire.